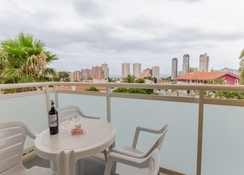 Apartamentos Terralta is a perfect place to spend your holidays quietly and privately. This is a perfect family-friendly hotel with facilities such as a mini-market, kid’s club, indoor swimming pool (heated), 24-hours parking, fitness centre, pool-lake, steam bath, bike rentals and cafeteria. The hotel offers free buffet breakfast and a variety of local and international dishes for lunch and dinner. Other than this, there is a cosy coffee bar, where proficient and young staff members serve you. Beach lovers and water sport enthusiasts will also have a nice time, as the nearest beach is only 900m away. 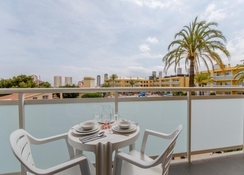 Apartamentos Terralta is located Alicante, just a few steps away from the beach and the Town Centre, which buzzes with restaurants, bars and shops. The hotel is well connected to the airport, city and numerus attractions, by bus and taxi, making it a popular choice for fun-loving families and sightseers. The Alicante Airport is 55.7km from the hotel. There are 160 apartments of two types─ Apartment and Two-Bedroom Apartment on offer at the Apartamentos Terralta. They offer a peaceful atmosphere, ultimate comfort and modern amenities. Surrounded by well-cared gardens with autochthonous plants, these spacious apartments are comfortably decorated with an independent bedroom, living room with kitchen, fridge, microwave oven, griddle, coffee / tea maker, hand wash, living room, radio, TV, phone, air conditioner, safe deposit box, Wi-Fi internet connection, tiled floor, shower, bath with shower, bidet, hair dryer and makeup mirror. All guestrooms enjoy a furnished balcony or terrace offering amazing views of the surrounding area. 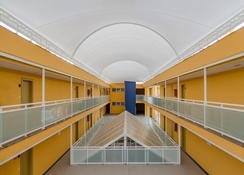 Apartamentos Terralta is a delight for gastronomes thanks to the buffet restaurant and the coffee bar. The buffet restaurant serves the best international cuisine with wide-ranging cold and hot delicacies that include Fideuá, rice, ice cream, special dessert buffet and a range of food that is sure to delight the old as well as the young guests. Drinks are served throughout the day at the coffee bar. A variety of outdoor and indoor activities and entertainment make Apartamentos Terralta a great choice for all age groups. There is a large outdoor swimming pool with sun loungers and a temperature controlled indoor swimming pool. Guests can also explore the sporting amenities available nearby, as well as water-sport activities. Guests can also rent bikes and explore the town at their own pace. For the little ones, the charm of Apartamentos Terralta is more thanks to the Kid’s club and pool-lake located within the property. There are loads of exciting rides and slides for children to enjoy in a safe environment. 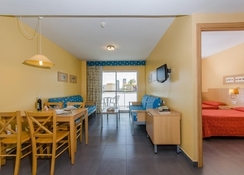 Note There is a Breakages deposit subject to Managers Discretion' of €100 per apartment to pay on arrival (by bank card or cash) which is refundable upon departure. 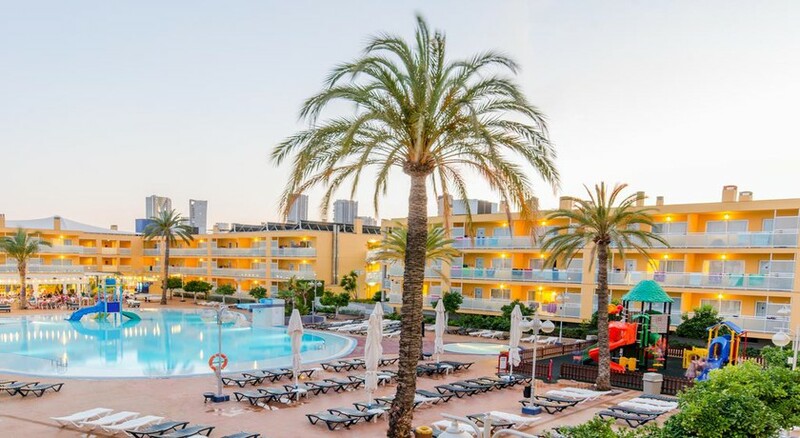 Amazing place to go :) appartments are beautiful extremely clean and spacious,staff are brilliant,pool fantastic,food perfect,could notsay anything bad about the Terralta,my first time going to Benidorm and I am so glad i stayed here,loved it and will deffo go back. Cheap hotel with swimming pool, and lots of space. Staff friendly and no complaints for the money. Food is cheap but not very good, but cheap drinks at the bar. Was ok for the week, beds were actually pretty comfortable and staff were always very pleasant. We went bed & breakfast and the times are from 8-10am which isn’t that long, poor breakfast and the quality wasn’t great. Opted for fruit and yogurt most days. Had the buffet once and the food was horrible. Good 15 min walk to the beach, probably wouldn’t stay again would opt for somewhere closing to the action.